What do all the buttons on the top do? What about all of the icons on the left? _Unknown Company – What is it? How do I find my URL? The Customers tab is where you can define who your customers are, what products and versions they are using, and attach important files and activities. The picture below displays a list of your customers. From here, you can define the specifics about each customer. To add contacts to a customer record, click the contact tab. 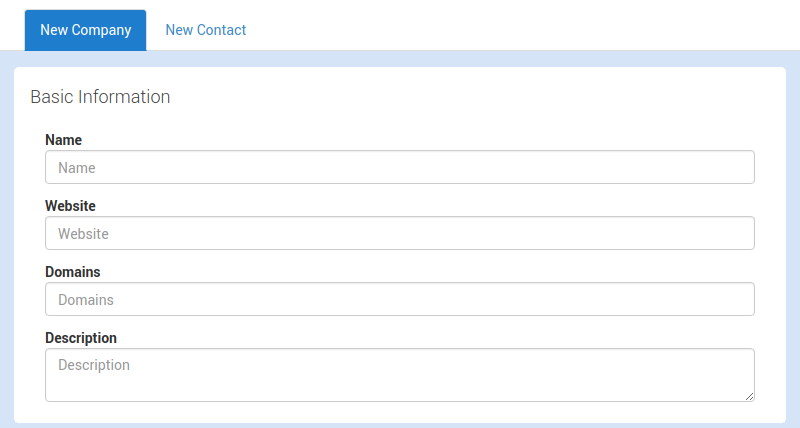 Here we have the option to add as many contacts as desired, and their individual information. 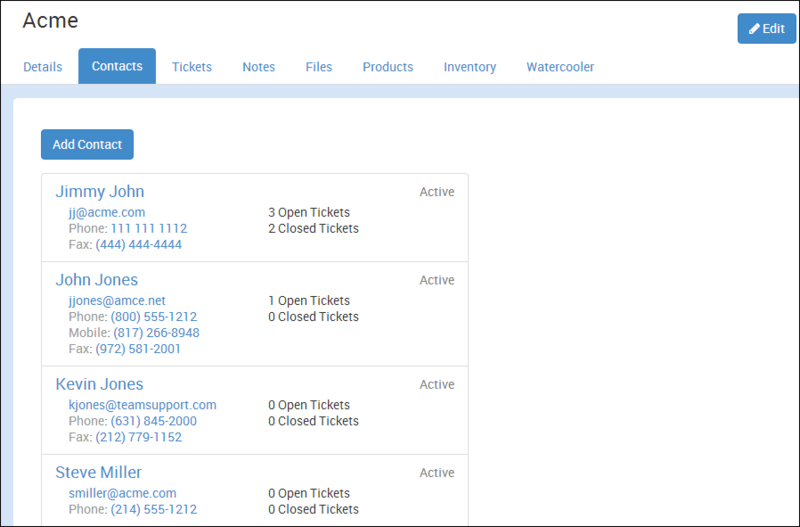 To see the tickets that are associated with the customer record, click the tickets tab. This will show the customer’s tickets broken down into sub-tabs. Click here for more advanced Customer Section options. Click here for a Basic Support Workflow.